The conclusion to the 2015 MLS season is edging closer and closer by the day. This weekend, four teams will go into the conference finals, and only two will survive to fight another day. Who are the favorites to take home the MLS Cup in December? For me, the Red Bulls have the best all-around team out of the final four. In the defensive third, Jesse Marsch’s squad has the MLS goalkeeper of the year Luis Robles, and arguably the best young defender in the league with Matt Miazga. With all of the talent they have in defense, it should be no surprise that New York have allowed the fewest goals in the Eastern Conference. Going up against Kei Kamara’s Crew this round, Miazga and Robles will have their hands full, but after two consecutive clean sheets against DC United in the last round, I don’t think they’ll be intimidated. A great defense can only get you so far. Luckily for the Red Bulls, they also have the highest scoring attack in the league. While it’s easy to just focus on the likes of Bradley Wright-Phillips (18 goals) and Lloyd Sam (10 goals) when it comes to this scoring dominance, I think that it’s important to note that 15 different Red Bull players have found the back of the net this season. This means that even if a team is able to contain Wright-Phillips and Sam, New York has no shortage of other goal-scoring options. Can this combination of great offensive and defensive talent lead the Red Bulls to their first ever MLS Cup victory? Next on my list of favorites is Óscar Pareja’s FC Dallas. The Texans started off this year as the hottest team in the league and have rediscovered that form at the best possible time. Against the Seattle Sounders last round, we got to see resilience from FC Dallas that has come to define champions across the globe. After scoring what many thought to be the winner in the 84th minute, the Texas club conceded a near fatal goal in the 90th minute. For many clubs, this would’ve been enough to put the dagger in the coffin, but not FC Dallas. Less than a minute later, Walker Zimmerman headed home the aggregate equalizer and his club would go on to win in penalty kicks. This “never say die” attitude could push Dallas through to the finals. One of the reasons that I don’t have Dallas above the Red Bulls is their ability to finish in front of net. On more than several occasions against Seattle, Dallas should have put the ball in the back of the net and sealed their spot in the conference finals, but poor composure made the finish more dramatic than it needed to be. 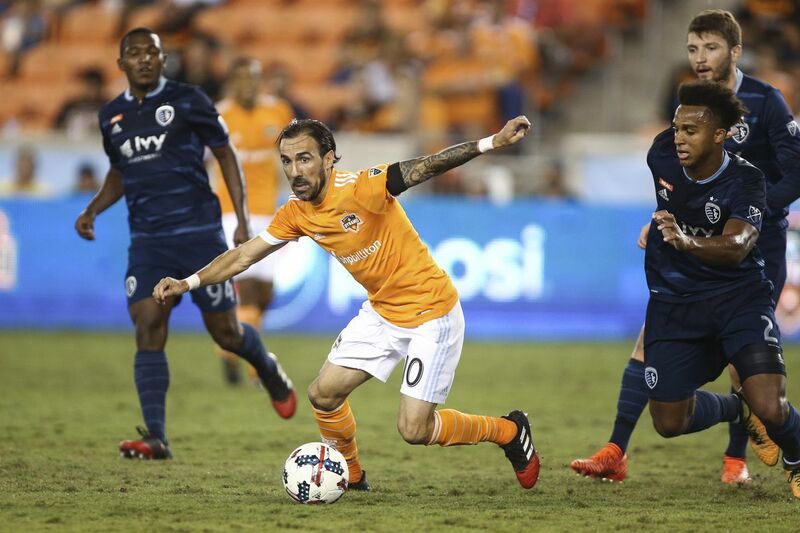 As the stakes increase with each passing game, this lack of concentration and finishing ability has the potential to derail any hopes of an MLS Cup victory. Look for players like Fabian Castillo and Mauro Díaz to lead the charge. 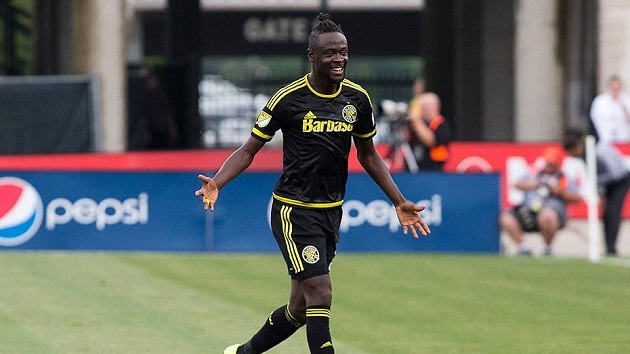 I think that you could argue Columbus wouldn’t even be in this playoff position if it weren’t for Kei Kamara. The former Sporting KC striker played hero once again in the second leg against Montreal as he scored twice in a 3-1 victory to send the Crew to the conference finals. Playing in most cases as a lone striker, the brunt of the Columbus’ offensive responsibilities rest on the shoulders of Kamara and so far this season he has been able to thrive with that responsibility. 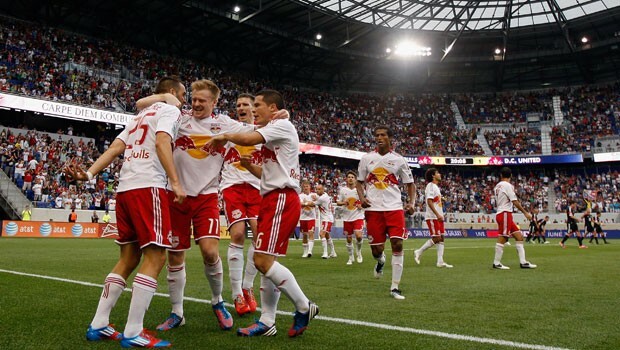 Few teams have been able to contain the 31-year-old, but one club that has been able to is the New York Red Bulls. In all three of their contests this season, Luis Robles and Red Bulls have been able to keep Kamara out of the back of the net. Will these next two fixtures see him break that goalless streak? A point of concern for Columbus going into their semifinal match has to be their defensive unit. Out of the four clubs still left in the competition, Columbus have given up the most goals, by far (53). Going up against the highest scoring team in the league, this could be a recipe for disaster. 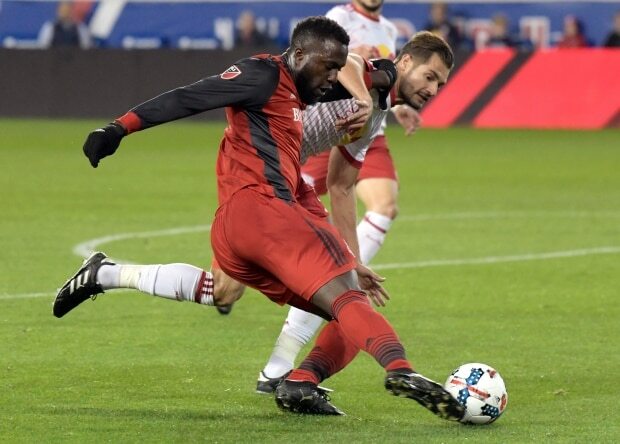 If the Red Bulls can continue to shutdown Kamara in front of net, the pressure will rest on Columbus’ backline to give the side a fighting chance. Expect a busy day for Steve Clark in net. 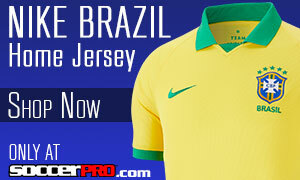 Rounding out the rankings are the Portland Timbers. The Timbers seemingly have the opposite problem that Columbus has. Their defensive unit is one of the best in the league, but they lack consistent goal scoring depth in attack. During the regular season, the Timbers scored just 41 times (fewest out of the remaining four clubs). The man that has been the source of almost half of Portland’s goals this year is Fanendo Adi (17 goals). The 25-year-old scored the opening goal against Vancouver last round, and it looks like he’ll have to be the goal scorer this round as well, if Portland hope to advance. Feeding Adi is one of the U.S.’s newest international squad members: Darlington Nagbe. The Timbers’ midfielder made two brief cameo appearances against St. Vincent and the Grenadines and Trinidad and Tobago during the international break, and during that short amount of time it was clear how much skill Nagbe has at his feet. While it doesn’t necessarily show on the stat sheet how influential Nagbe is in the heart of the pitch (five goals, four assists), he has the ability to change the match when he’s on his day. The call-up to the U.S. squad should give Nagbe some added confidence going into this key matchup, but will it be enough to upset FC Dallas?